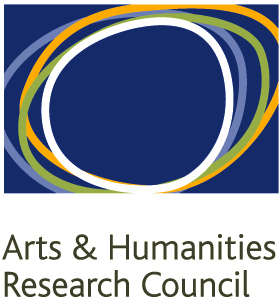 Welcome to the website of our two research projects, the first fully funded academic studies of amateur theatre in the UK. We're interested in hearing your stories, your views and experiences, whether you were acting or behind the scenes. If you are involved in amateur theatre, a policy-maker or interested in our research, please contact us. Added on November 5, 2013 by Helen Nicholson. Where to start? The process of defining research questions, selecting case studies and designing the research methods - the usual business of academics – was accompanied by an increasing curiosity about why amateur dramatics (or amateur theatre, if you prefer) has been so ignored. The very term ‘amateur dramatics’ conjures stereotypes (think Lynda Snell in The Archers, Margot in The Good Life), and perhaps these soap opera and sit-com caricatures have hindered serious study of an aspect of theatre-making that so many people enjoy. Academics have been conspicuously silent on the subject of amateur dramatics, favouring forms of theatre that are more palatable to radical politics and perceived to be more in tune with metropolitan tastes. In other words, we’ve all been too sniffy. Reactions to my interest in researching amateur dramatics have tested my sniffy theory. Colleagues have started to apologise to me if they call something ‘amateurish’, a synonym for poor quality work. Some academics look at me in utter bewilderment, and ask in horrified tones if the research requires me to actually go to see amateur shows. Others imply that the performers will be talentless or pretentious (as if you'd never find that in professional theatre, oh no). There’s something interesting about the art-form – we rarely talk about amateur bands, for example, and community choirs have become distinctly cool. But amateur dramatics? I find that I’ve started to judge people according to how they react. Negative responses have revealed judgements of taste, scepticism about participants’ motives and, occasionally, class prejudice. Overwhelmingly, however, the response to our research project has been enthusiastic. It’s long overdue, and speaks to a new generation where the distinctions between amateur and professional are blurred. There’s a politics about vernacular creativity, where people are making art and practising their craft largely outside the do-gooding intentions of artists who want to encourage social cohesion. Amateur theatre is a popular form of cultural participation that has endured over time and across generations. We’re interested in why people spend their time making theatre, and how it contributes to constructing communities. In the process, we’re hoping to challenge some of the stereotypes that cling to amateur performers and theatre companies. We made three big decisions when we planned this research. First, our research and our case studies all speak to the four major themes on the homepage of this website: Community and Participation; Place and Performance; Craft and Repertoire; Heritage and Tradition. Second, with the help of Erin, our post-doctoral researcher, we decided to focus on the work of amateur dramatic companies, rather than amateur performance in organisations that have other purposes (the Scouts, for example, or the WI, though we’re interested in hearing from anyone involved in amateur performance). Third, we chose the case studies that represent three distinct and constructed communities, each of which fosters particular life-styles, work-patterns, sense of home or idealistic vision. The case studies also enable us to look back in time, investigating the histories of amateur theatre as well as contemporary practice. This blog is intended to capture our thinking as it emerges. The research is addresses the AHRC’s theme of Connected Communities, and we hope that this website will become a community where amateur theatre-makers, scholars, theatre critics, audiences, sceptics and enthusiasts can debate, tell stories, share memories and imagine the future where people will continue to participate in amateur theatre, for the love of it.